North Kolkata’s Baranagar Kancher Mandir was founded by Swami Satyananda Dev on the east bank of River Hooghly (Ganga) near to Baranagar Patbari and now managed & maintained by Sri Ramakrishna Ashram. 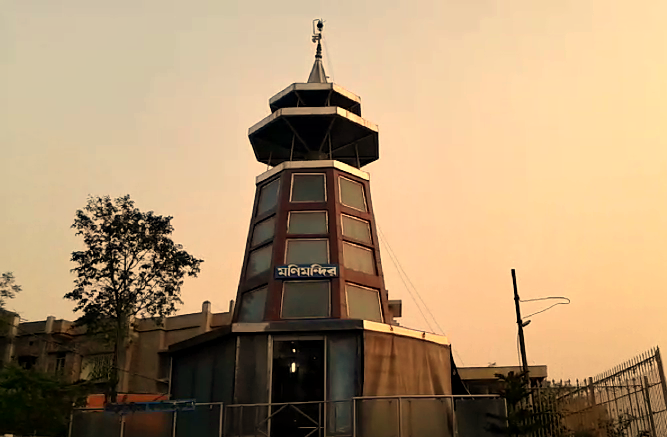 Let’s check out few details of Baranagar Kanch Mandir [Glass Temple / Sheesha Mandir]. • Significance of Kancher Mandir, Baranagar (Kolkata): - Let’s check out why Kancher Mandir of Baranagar (Kolkata) is famous (popular) and attracts tourists. 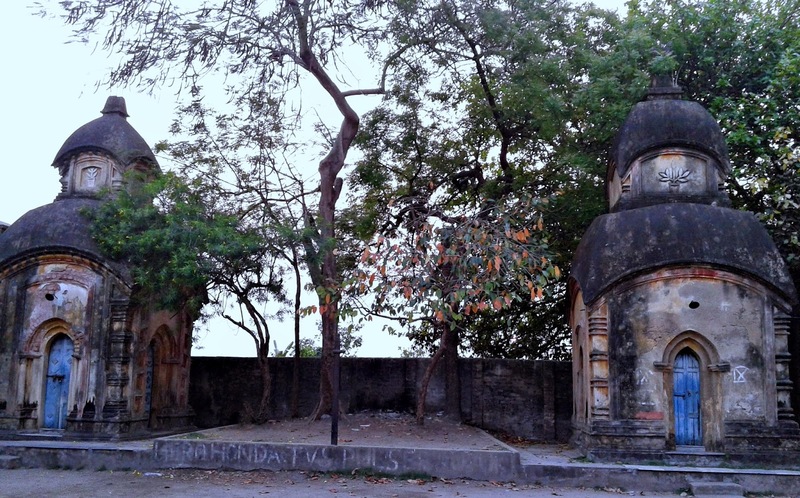 Baranagar Kancher Mandir (Mani Mandir) founded by Swami Satyananda Ji, on the eastern bank of River Hooghly (Ganga) inside Baranagar Sri Sri Ramakrishna Ashram premises in North Kolkata. Sri Sri Ramkrishna Sebaytan manages & maintains this Kancher Mandir. This temple is known as Kancher Mandir because it is made of Glasses (Kanch / Sheesha); thus local people also called it 'Sheesha Mandir' as well. Swami Satyananda Ji, an ardent follower of the Swami Abhedananda [16th direct disciples of Ramakrishna Paramhansa], established Glass Temple (Kancher Mandir). Sri Ramakrishna birthday, Maa Sarada birthday & Swami Satyananda birthday - thrice every year celebration happens in a great manner here by the followers of Ramakrishna Mission. Inside, Baranagar Kanch Mandir (Sheesha Mandir), Kolkata you will get to see Swami Satyananda Ji idol, Sarada Maa idol, used clothes accessories photographs of Swami Satyananda Ji. Two old Shiva Temples, Chatrabas (Boy's hostel) etc. are also there inside Baranagar Sheesha Mandir, Kolkata. • Location / Address of Kanch Mandir, Baranagar, Kolkata: - P.K. Sana Lane, Sri Sri Ramkrishna Ashram, Near Baranagar Patbari, Baranagar, Kolkata-36. • Phone contact number of Baranagar Kancher Mandir, Kolkata: - 033-2577-1133. • Kancher Mandir, Baranagar (Kolkata) Opening & Closing Timings: - Glass Temple / Sheesha Mandir / Kanch Mandir entrance gate remains open once in the morning & once in the afternoon till evening. During celebration days, gate remains open throughout the day. • Best time to visit Kancher Mandir, Baranagar (Kolkata): - Except monsoon season; any time you may visit Baranagar Kancher Mandir. But, it’s recommended to visit in the afternoon for the beautiful view of Sunset on the other side of River Ganga. 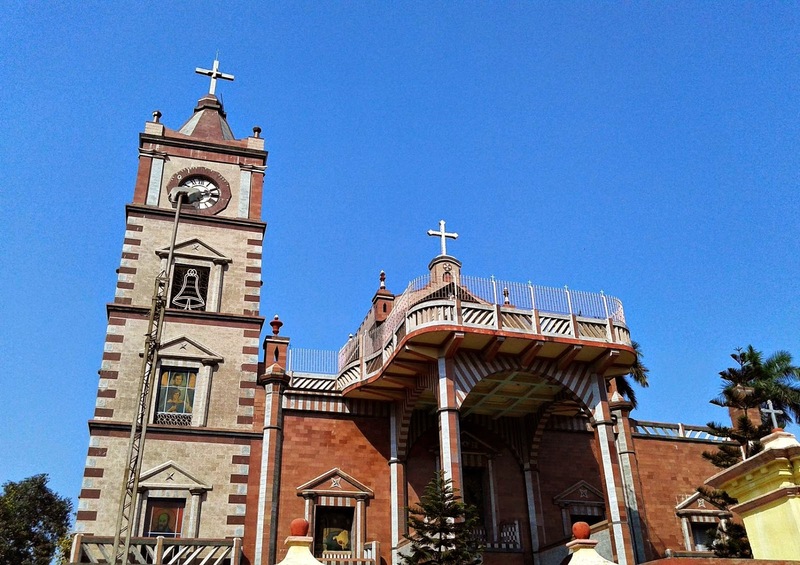 • Nearby places to visit from Kancher Mandir, Baranagar (Kolkata): - On the same day; you may visit to nearest tourist places like Baranagar Patbari, Cossipore Udyanbati, Dakshineswar Kali Temple etc. • How to go to Kancher Mandir? Route map of Kancher Mandir, Baranagar (Kolkata): - Now, let’s discuss where is Kancher Mandir, Baranagar (Kolkata) and which route to follow to go to Kancher Mandir. e-Rickshaw (Toto) service is available from Dakshineswar Bus Stand to Baranagar Kancher Mandir along with Rickshaw & Auto. • Accommodations near Kancher Mandir, Baranagar (Kolkata): - Now, let’s check out hotels, lodges, or any kind of rooms on rent are available or not near to Kancher Mandir. No such hotels, lodges & guest houses available near to Baranagar Sheesha Mandir of Kolkata. You should stay at Dakshineswar, where finding budget hotels, luxurious hotels & cheap lodges are very easy. Check out a small video of Baranagar Kancher Mandir of North Kolkata. A visit to Glass Temple of Kolkata is must for all. Let’s check out the Eco Tourism Park of Rajarhat-New Town (Kolkata) attractions, address, how to go, entry timings & other details. Are you looking for an amusement park in Rajarhat, New Town, Baguiati, Teghoria area of Kolkata? Do you want to know the name of the best Park located in Rajarhat New Town area of Kolkata? Eco Tourism Park (Prakriti Tirtha) is the only one amusement park developed till now for the people of Rajarhat, New Town area. Since, Victoria Memorial, Millennium Park, Elliot Park, & other parks of Kolkata are situated very long way; thus Eco Tourism Park is the most visited amusement park for the people of Rajarhat, New Town & other near by areas of Kolkata. Chief Minister of West Bengal Mamata Banerjee has inaugurated the Eco Tourism Park (Prakriti Tirtha) located at Rajarhat - New Town area of Kolkata on 29th December 2012 [Saturday]. Kolkata's Eco Tourism Park is the initiative of Ms. Mamata Banerjee and expecting to attract visitors not only from Kolkata & outskirts of Kolkata but also from many other places because 'people love nature'. Kolkata gets another greenery park named Eco Tourism Park [also known as Prakriti Tirtha]. It was a dream to beautify the area located beside the road towards Airport in Rajarhat of Ms. Mamata Banerjee, who took the initiative to make a park after becoming Chief Minister of West Bengal. HIDCO took up the project and finally in December 2012 presented the Eco Tourism Park of Kolkata located in Rajarhat-New Town area. 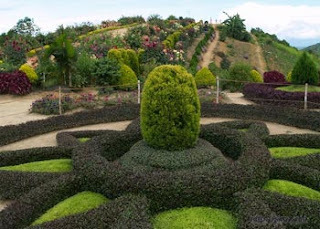 Rose Garden with large varieties of Roses in Eco Tourism Park of Kolkata. Musical Fountain of Eco Tourism Park of Kolkata. Banglar Haat to showcase products made by Cottage Industry of Bengal. People can buy products from Banglar Haat as well. Baul Gram in Eco Tourism Park of Kolkata with live folk singing & environment to make you feel that you are in a 'Village of Baul'. Boating on the Jheel spread over 200 acre area in Eco Tourism Park of Kolkata. An Island is located in the middle of the Jheel. Shilpi Kuthi in Eco Tourism Park of Kolkata for Artists. Ayurvedic Spa in Eco Tourism Park of Kolkata where people can relax & get Ayurvedic Spa. Sishu Kendra in Eco Tourism Park of Kolkata for kids to enjoy with few rides. Different zones dedicated for different types of Forestry in Eco Tourism Park of Kolkata like Tropical Rain Forest, Herbs Garden, Bamboo Forest, Deciduous Forest & others. Cottage & Conference Hall on the Island located in the middle of the Jheel in Eco Tourism Park of Kolkata. Food Park for the visitors of Eco Tourism Park of Kolkata. Butterfly Park of Eco Tourism Park of Kolkata with varieties of different butterflies. What is the timings of Eco Tourism Park of Kolkata? When people can enter Eco Tourism Park of Kolkata? When to visit Eco Tourism Park of Kolkata? The Eco Tourism Park of Kolkata located in Rajarhat-New Town area will open at 11am and will remain open till 5pm [11am - 5pm every day]. During the opening month i.e., only in January 2013 the Eco Tourism Park of Kolkata will remain open till 9pm. • Address of Eco Tourism Park of Kolkata: - Major Arterial Road (South-East), Action Area-II, New-town Kolkata-156, West Bengal. People can reach Eco Tourism Park of Rajarhat-New Town easily from Salt Lake Sector-V and those coming from other areas should follow the Arterial Road from Haldiram Stoppage on VIP Road. Bus services towards Eco Tourism Park (Prakriti Tirtha) are available from Salt Lake Sector-V & Haldiram as well. If you want to know what other places to visit near Eco Tourism Park of Rajarhat then we recommend you to visit Rabindra Tirtha of Rajarhat, Nazrul Tirtha of Rajarhat-New Town, City Centre II of Rajarhat. All these visiting places are located nearby Eco Tourism Park of Rajarhat-New Town (Kolkata). Barrackpore Ganga Riverside is getting more attention from West Bengal Tourism Department. Development of Ganga River Side (banks) of Kolkata & nearby areas have already started by West Bengal Government and now apart from beautify the riverside Tourism Department took initiative to start a new project at Barrackpore Ganga Riverside area. Tourists will get to see ‘Sipahi Bidroho’ in front of Malancha Lodge [Government Lodge] of Barrackpore located on the banks of Ganga River. This ‘Light & Sound’ Show of Sipahi Bidroho will be of 37 minutes Show. Light & Sound Show at Barrackpore Ganga Riverside will be screened in English & Bengali language through the voice of Sabyasachi Chakraborty. It’s an initiative of West Bengal Tourism Department and Standard Robotics Corporation. In front of Malancha Government Lodge of Barrackpore; there will be models of Mangal Pandey, Nana Saheb, Tantia Topi, Lakshibai, Bahadur Shah & other historical personalities fought for Indian Freedom. These Fibre Glass models will be placed at various locations under the direction of Sri Kaniska Sen, who is also going to prepare ‘Paltola Nauka’ to display historical photographs. The main Show of Light & Sound will be shown on a giant screen. This new initiative to bring more tourists to Barrackpore, known for Mangal Pandey [freedom fighter], will be inaugurated in November 2012. But, after completion of every work in coming few months it will be open for all. As soon as all the works get completed; West Bengal Tourism department will start their Shipping Package from Kolkata to Barrackpore. Those who want to visit Barrackpore should visit places like Mangal Pandey Udyan, Gandhi Ghat, Museum, R.K. Mission Complex and ‘Light & Sound’ Show from now on. Chief Minister of West Bengal Smt. Mamata Banerjee took another step forward for making Kolkata as London. Smt. Mamata Banerjee already had announced that she wants to make Kolkata like London and she considers River Ganga like Tames river of London. West Bengal Government under the direction of Smt. 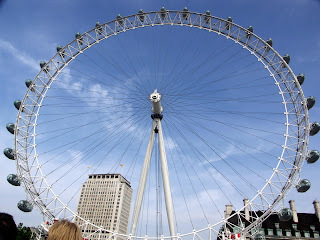 Mamata Banerjee took the step to establish ‘Kolkata Eye’ (Kolkata Giant Wheel) beside River Ganga like ‘London Eye’ beside Tames River. As per the news, the tender for Kolkata Eye (Kolkata Giant Wheel) project will be declared in November 2011 and from 2012 the project Kolkata Eye will start. If everything goes according to the plan then by 2014 Kolkata will have another exclusive historical creation ‘Kolkata Eye’ / Kolkata Giant Wheel. Location where Kolkata Eye will be developed in Kolkata: - Nearly 4-acres of land near to Second Hooghly Bridge towards Howrah of Hooghly River Bridge Commission (HRBC) have been granted for Kolkata Eye (Kolkata Giant Wheel) development. Structure of Kolkata Eye (Kolkata Giant Wheel): - Kolkata Eye will be developed as per London Eye which is 135 meter high with 32-capsule cabins and can carry 800 people at a time. But, the Kolkata Eye (Kolkata Giant Wheel) will be 150-180 meter in height consisting 30-Cabins and should carry 500 people at a time. Kolkata Eye shape will be round like ‘Nagardola’ from where people would see whole Kolkata like Birds Eye view. Kolkata Eye (Kolkata Giant Wheel) would have been a must visit sightseeing place in Kolkata beside Ganga near to Howrah like London Eye in London. Victoria Memorial Kolkata is the most attractive and beautiful artistic designed monument for which Kolkata can proud of. Not only in Kolkata and West Bengal; the value of Victoria Memorial Kolkata is world-wide and one of the finest historical Monuments India have recently. Victoria Memorial Kolkata is made of White Marble rock. 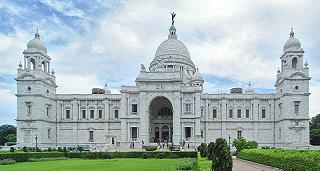 Kolkata’s Victoria Memorial visiting place creator is Prince of Wales. History of Victoria Memorial Kolkata: As per the information Prince of Wales founded Victoria Memorial in Kolkata in 1906 in the memory of Queen Victoria during the British Empire in India. If we closely look at Kolkata Victoria Memorial then we would get to see the mixing of both British and Mughal architecture. Architect of Kolkata Victoria Memorial: Sir William Emerson had designed the Victoria Memorial Kolkata. Route / Location of Victoria Memorial Kolkata: Victoria Memorial is located at the heart of Kolkata and can be reached easily by Bus route, Car or by Metro Route. The nearest Metro Station to Victoria Memorial is Rabindra Sadan. Let’s make a short tour to Victoria Memorial Kolkata for a quick relaxation of mind by watching historical monument in Kolkata, Victoria Memorial.